Networking and food, 6:00 PM. Ramp-ups are hard. Like surfing, satellite launches, or startups, a lot of energy needs to be invested in ramping up on a new software project before you even begin to do the real work of development. That can feel frustrating. And there are plenty of opportunities for waste. But the ramp-up can also be an incredible opportunity to win a team's trust, and set the project up for success when done intentionally and with an eye on the principles of the Agile Manifesto. In this talk Ian Carroll will be sharing his experiences and lessons learned from ramping-up again and again on client projects at 8th Light. 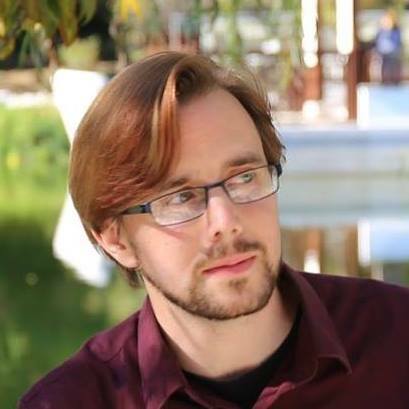 Ian Carroll is a Software Crafter at the 8th Light Consultancy. Before graduating from 8th Light's apprenticeship program, he developed a one-person agile process based on scrum which he used to teach himself software engineering. His degree is in Theatre. When he is not championing agile processes, open source software, or clean code, he can be found at Improv Theatre performing in full-length improvised plays in the style of Jane Austen or Tennessee Williams. Ian has a series of Faster Than Lightning talks available on his YouTube channel. Exit the 5 or 405 at Sand Canyon. From the 5, go south to Irvine Center and turn right. From the 405, go north to Irvine Center and turn left. Take the first right into the main parking lot at Capital Group. Park (no permit needed), go to the main entrance, look for the signs. Thanks to Capital Group for the meeting facilities. Thanks to Collabnet VersionOne for food sponsorship. Thanks to Mike Cohn for agile courses, and Mike Cohn series books. Thanks to Rocket Nine Solutions, our educational sponsor. Thanks to Agile Alliance for hosting our Meetup. To be eligible for the drawing for free books and agile stuff YOU MUST RSVP to https://www.meetup.com/Agile-SoCal/ 24 hours prior to the meeting and be present to win. Meetings are usually held on the third Wednesday of each month. But not always, and dates may change, so watch for the announcements. December - no meeting, Happy Holidays! All meeting start with food & networking at 6:00 PM, presentation starts at 6:30 PM, raffle follows the presentation. 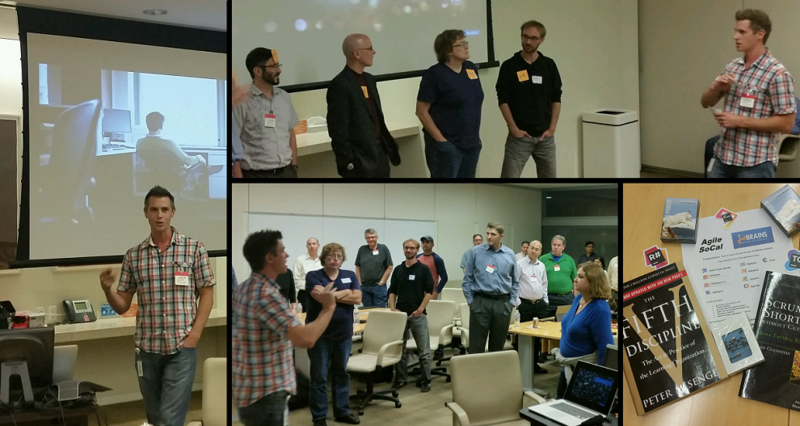 Click here for a full history of all AgileSoCal meetings. Here's a sample from past AgileSoCal meetings. Our meetings feature experienced agilistas and cutting-edge topics, and are highly interactive and engaging. Come join us at a future meeting!